Our club is a voluntary organisation that provides a community service by patrolling Park Beach throughout the summer months. In addition to patrolling duties club members compete in a range of events designed to fine tune skills essential for patrolling our beach. Our surf lifesavers engage in regular competition and surf carnivals events which are held at Club, State, National levels. 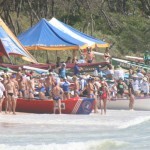 Competitors aged from Nippers to Masters level can take part, with all disciplines developed from core lifesaving skills and techniques. 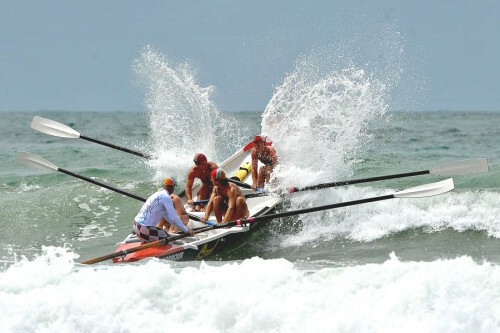 Coffs Harbour Surf Club hosts several carnivals each year, including the Annual Surf Craft Carnival which is now held on 2 concurrent weekends. For 2017 the board & ski will be held on the weekend of 21st & 22nd October 2017 and the Boaties carnival will be held on the weekend of 28th & 29th October 2017. Details on each of these carnivals can be found in Upcoming Events tab. Surf life savingcompetition incorporates a huge number and variety of events. Visit the Surf Life Saving Australia website (www.slsa.asn.au) for full details. Athletes typically specialise in one event or compete in a stream of events that have similar physiological demands. For example, beach competitors compete in beach sprints, beach flags and beach relay events – all explosive, short duration, power events lasting 5-12 seconds in duration. 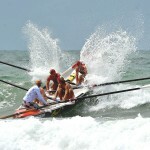 “Boaties” specialise in surf boat races. Ironman and ironwoman competitors compete in a range of events including multidiscipline events such as ironman/ironwoman events, individual events such as board, ski or swim races and team events such as board rescue and board or ski teams.